You are not a social entrepreneur. You are not a CEO. You are not your role or whatever you think you are. Roles and role titles may be useful at times to guide our work or describe it to the outside world, and indeed these role titles can feel liberating. In fact, great and effective leadership means having a healthy relationship with role. By contrast however, there is a danger in over-identifying with roles and role titles. It can lead to misuses for power, and can eventually cause harm and be a leader’s undoing. Many in the do-gooding space have encountered leaders who have lost their ethical footing with regards to their role. I have seen this in other leaders and I have seen it in myself. One group of people who experience this most acutely are those who have founded organisations. There is even a term called ‘founders syndrome’ to describe the effects of poor founder separation and misuses of power by those in that role. While there are many aspects to founders syndrome, one key feature comes as an over-identification with role. For many founders, the creation of their organisation is a work of significant effort and investment. This can lead to immense pride and attachment which can be positive if balanced, but in it’s unhealthy extreme can be debilitating for the organisation. Founding and leading an organisation gives the individual a great deal of social legitimacy and status. In my observation of many social entrepreneurs, this is often the first form of public status and power that they have had. This power feeds the ego and can be very seductive. What I have seen happen over time is an over-identification with the role that they play, to the point that it can be easy to conflate who you are with the role you serve. In the end, it is the separation of self from role that can be problematic for founders. Ethical leadership involves knowing thyself, and having a healthy sense of self outside of the role that one serves. Rather than seeing oneself as the role (I am the leader), the ethical leader sees that they serve the role (I am serving in the role of CEO). Separating oneself from role is important for a number of reasons. Significantly, our own personal histories (biases, traumas, preferences) can cloud our judgements. By seeing the role as something we serve, we can keep in check our personal histories and detach more effectively in decision making. Also, when we are able to separate our identities from our role, we can more easily move on when it comes to a time when we are no longer the best person to serve the role. Role power and personal power are different aspects of leadership. Personal power includes all of those personal inner qualities that often get us to positions of leadership. This can include charisma, confidence, specific skills, knowledge, vision, passion and more. Role power includes those aspects inherent to roles we assume, and includes power given by others. For example, there is a certain amount of authority and legitimacy that comes through simply being a CEO, regardless of the personal qualities of the individual. Having sat in positions of ‘role power’, I have have experienced this in both its balanced and unbalanced expressions. When out of balance, we can have negative affects on the individuals and organisations we are meant to be serving. Plato’s great advice was to “know thyself”. This sounds easy, but in fact it can be incredibly difficult. Despite best intentions to know thyself, it is easy to be blind to parts of our behavior and be deluded about who we are. In moments of stress or crisis it is easy to convince ourselves that we are right in the way we are leading. It is these times that we most need to check ourselves and get rebalanced. What kind of decision would I make on a day where I was performing at my best? What would the wisest person I know (or could imagine) think about this situation? How might they respond? Am I rested and healthy? Am I in the best state of being to respond to this? Ethical leadership requires both awareness and self-knowledge, but it is also about personal practice. Having daily practices that bring us back to our sense of personal power is crucial to leadership, whether that is yoga, meditation, prayer, journalling, chanting, contemplation or whatever works for you. While I have written here about people in positions of leadership, the same is true for people in any role or position. When working with others in positions of role power, our own power issues can be triggered. We can easily project onto others unresolved aspects of ourselves. Our perceptions of people in positions of role power may not always be accurate. Self-knowledge helps us sort our own stuff out from those aspects which may belong to another. It is also important to cultivate these leadership practices now, as sometime in the future you may be thrust into a position of leadership. At this point you will likely be shocked by how challenging it can be. The ‘higher’ you go in leadership, the more responsibility you have to others and to your own well-being. 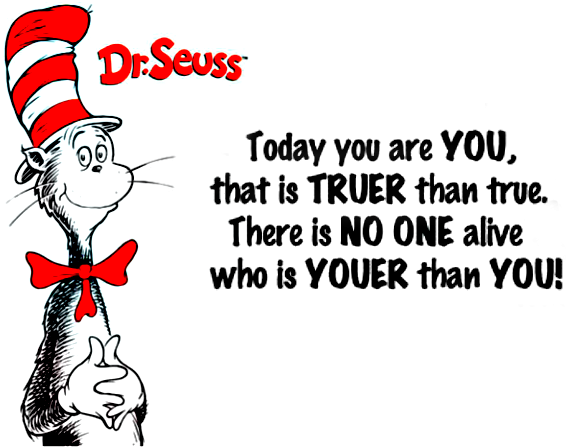 As Dr. Suess would say, there is no person who is youer than you. But in positions of role power we can easily lose sight of ourselves. Leadership is a constant quest to know ourselves in any and every moment. Great post! And apt timing for me…love hearing people express some ideas that had been churning for me under the surface for quite some time but that I hadn’t yet found a way to express. Thanks for another great post Benny.